Summary: What if you had only one day to live? What would you do? Who would you kiss? And how far would you go to save your own life? I'd love to be entered to win this thanks. So many books I need! I've heard such good things about this one! Today, is going to be great. This book looks so great. I've heard good things about this one! I'd love to win this! Please enter me! It's on top of my wishlist. Another one I really need to read. I've been wanting to read this one! Thanks for the chance! This is impossible to get at my library so I'm so glad you have a contest for this. Would you please enter me? Thanks! I love this book and would love to own it! 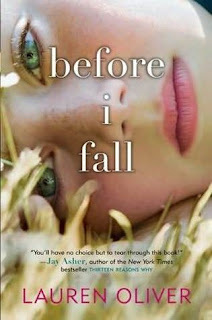 I would lovee to win this book!! Please enter me!! My friend told me about this book and I was so interested!!! I would totally love to win this and read it. i have been wanting to read this book soooo bad! Oh wow! I really really want this! Please enter me...this sounds great! Please enter me, thank you!! Really really want this one! I am so jealous of anyone who's already read this! I loved Bill Murray's "Groundhog Day" so this one is right up my alley. Sounds good. Enter me please. I've been wanting this one!! Man, I previously entered like four other contests for this book because it sounds awesome, but I won none of them. Hopefully, I'll win this one. P.S. How do you choose your winners? Everyone keeps talking about this book, it sounds so good! I'd love a chance into this giveaway! I've heard great reviews on this.